The author of the Copper Scroll Project, Shelley Neese, has created a riveting and true story of one man’s epic search for the lost treasures from the First Jewish Temple, which stood on Jerusalem’s Temple Mount. It is this looming question that makes the book’s story so tantalizing. Why, after Jim Barfield’s scan of the soil with a sophisticated scanning device, which revealed the likelihood of highly possible artifacts lying some eight feet deep was an Israeli archaeologist, who had begun to dig shallow test pits, told to shut down the dig after receiving a mysterious phone call? Ms. Neese fills her book with the triumphs and disappointments as Barfield, who had tirelessly worked to crack the Copper Scroll’s code, and his three companions systematically map out the area where they become convinced the ancient Biblical treasures lie. For now, the mysterious artifacts are waiting under the ground where they have remained for millennia. Will growing public demand for a full excavation of the site finally become so insistent that a dig can take place and vindicate Jim Barfield? A map of the Qumran caves and possible locations of Temple treasures. The world and members of the Israeli Parliament along with the general public, are urging the appropriate authorities to unearth what Barfield has tirelessly worked so hard to claim may be the First Temple treasures from Israel’s ancient past. This significant and noteworthy book is both a highly absorbing and entertaining account of many years of triumph and disappointment as Jim embarks on journey after journey to Israel where he edges ever closer to a discovery that may well electrify the world. It may also resolve once and for all the conflicting political and historical claims that bedevil the Jewish people’s ancestral and Biblical right to their homeland. Ms. Neese points to what Jim Barfield sees as the flaw in the predominant opinion that the treasures listed in the copper scrolls simply refer to gold and silver. 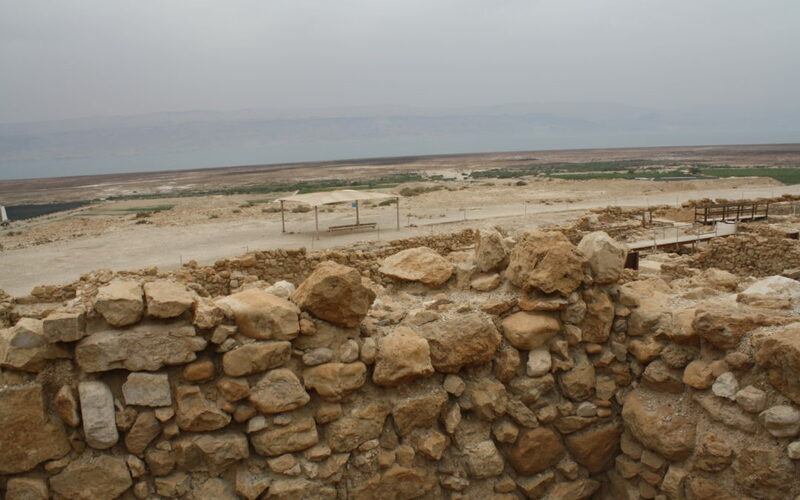 One of the locations described in the copper scroll refers to priestly vestments – not treasure – and that makes the argument more valid that what lies beneath the ground is from the First Temple period and hidden from the Babylonians as described in Jeremiah 28;3. In Shelley Neese’s beautifully written account of the many expeditions by Jim Barfield and his worthy companions to Israel and to the Qumran site, we share the excitement of the quest to discover and pinpoint the location of the artifacts as described in the copper scroll’s treasure map. Above all, Shelley Neese has displayed great linguistic skills and a brilliant grasp of history as she details the driving passion of a singular man, Jim Barfield, a Noahide, who tirelessly works to reveal the hidden treasures from the First Jewish Temple on Jerusalem’s Temple Mount.